We provide door-to-door service for persons who qualify under the Americans with Disabilities Act of 1990. Saturday, 7:00 a.m. to 5:00 p.m.
Service animals are allowed to accompany riders. A personal care attendant may travel with a Paratransit rider who is unable to travel alone. Eligible riders may travel with a guest. Let the dispatcher know if a guest will be accompanying you. 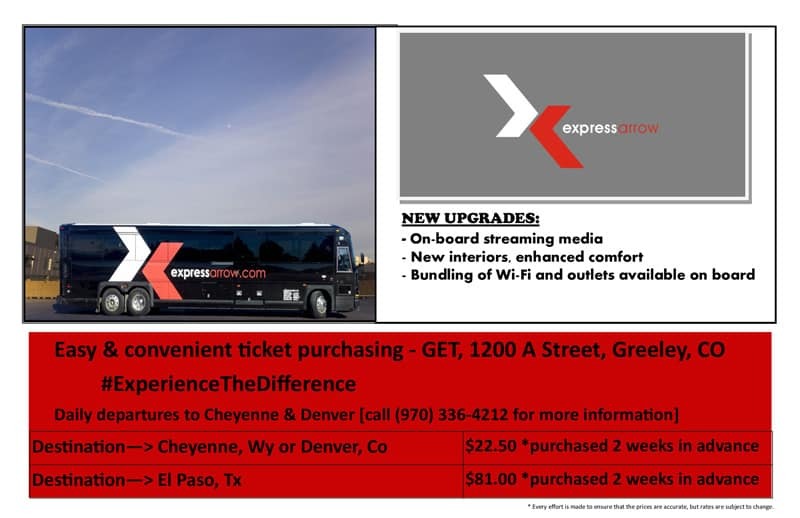 The fare for a guest is the same as for the ADA eligible rider. This is a door-to-door service and is available to the general public after normal fixed route hours end. Monday through Saturday until 9:00 p.m. This door-to-door bus service is available to the general public from 7:45 a.m. to 1:45 p.m. on Sundays. Travel Training is designed to teach safe and independent travel on a public transit system. Travel Training will focus on the fixed route bus system and teach the skills needed to navigate around the community with confidence and ease. A Travel Trainer will help participants experience and understand public transportation. 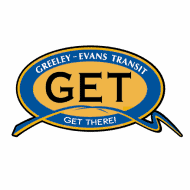 To assist anyone interested in using our bus system but aren’t quite sure how to, Greeley-Evans Transit will provide free classes in Travel Training. To schedule Travel Training please contact us at 970-350-9290.